The search for altenative, renewable sources of fuel and energy from plants, algae, and waste materials has catalyzed in recent years. With the growing interest in bioenergy development and production there has been increasing demand for a broad ranging introductory text in the field. 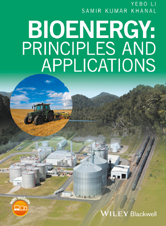 Bioenergy: Principles and Practices provides an invaluable introduction to the fundamentals of bioenergy feedstocks, processing, and industry. 12.2 What Does Pretreatment Do? 19.2 How Does a Microbial Fuel Cell (MFC) Work? 27.2 What Is Techno‐Economic Analysis? 28.2 What Is Life‐Cycle Assessment (LCA)?